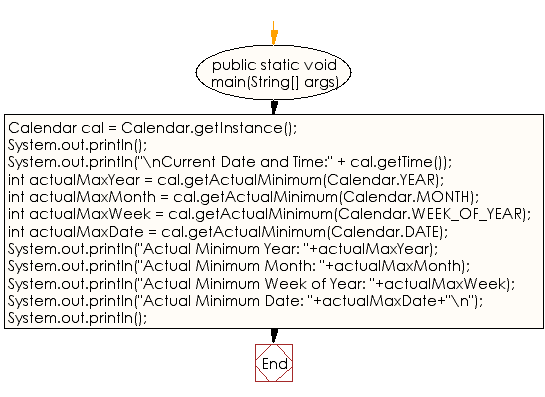 Write a Java program to get the minimum value of year, month, week, date from the current date of a default calendar. Previous: Write a Java program to get the maximum value of the year, month, week, date from the current date of a default calendar. Next: Write a Java program to get the current time in New York.